Looking for family vacation ideas? Cruising’s the perfect option, particularly if you’re looking to vacation with the three generations in tow – grandparents, parents, and grandkids… maybe even the extended family! In today’s busy world, it can be difficult to make quality time for family. Taking a family cruise vacation is a great shared experience that every generation will have fond memories of for years to come! 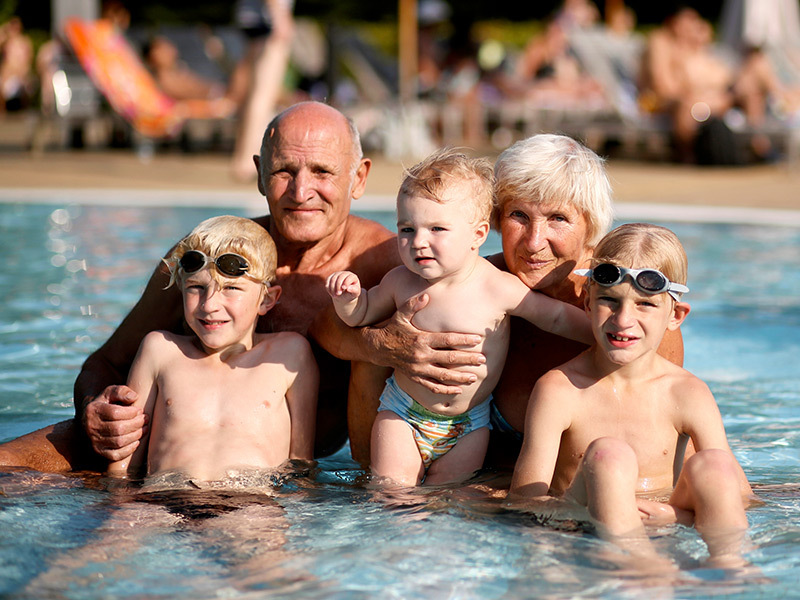 Cruising can also provide some well-needed bonding time for grandparents and grandkids, especially if they don’t live in the same city. 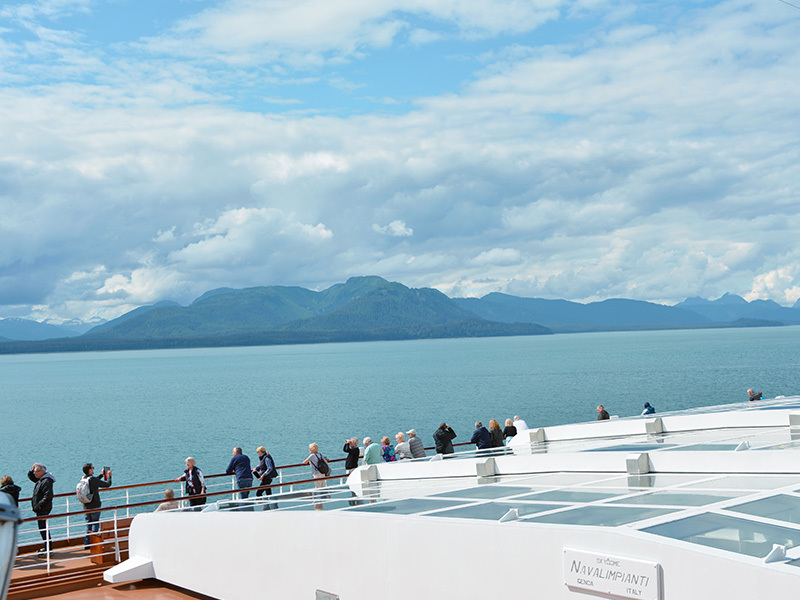 When I went cruising to Alaska last year with my mother, I noticed plenty of grandparents and grandkids together at the pool or watching the evening shows. I’m guessing they were giving mom and dad a little break of their own! 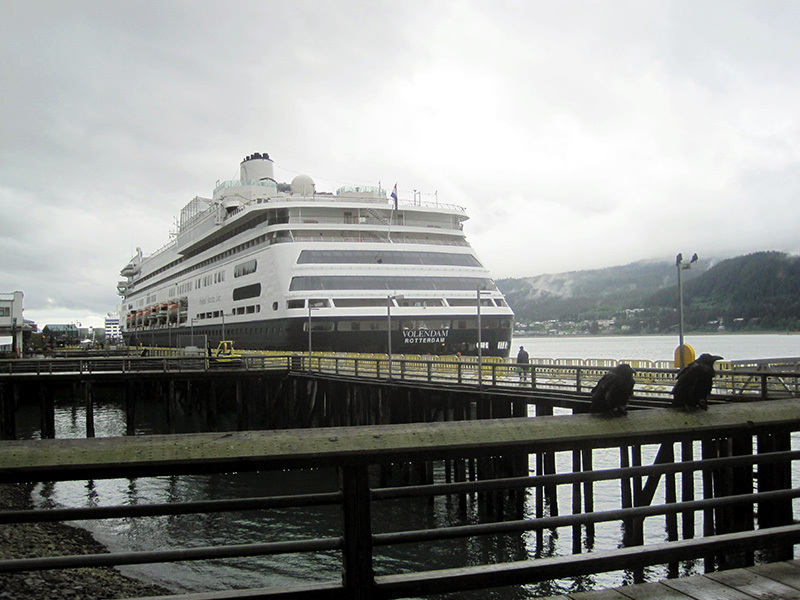 I would highly recommend an Alaskan cruise for a family vacation. There’s so much to take in! 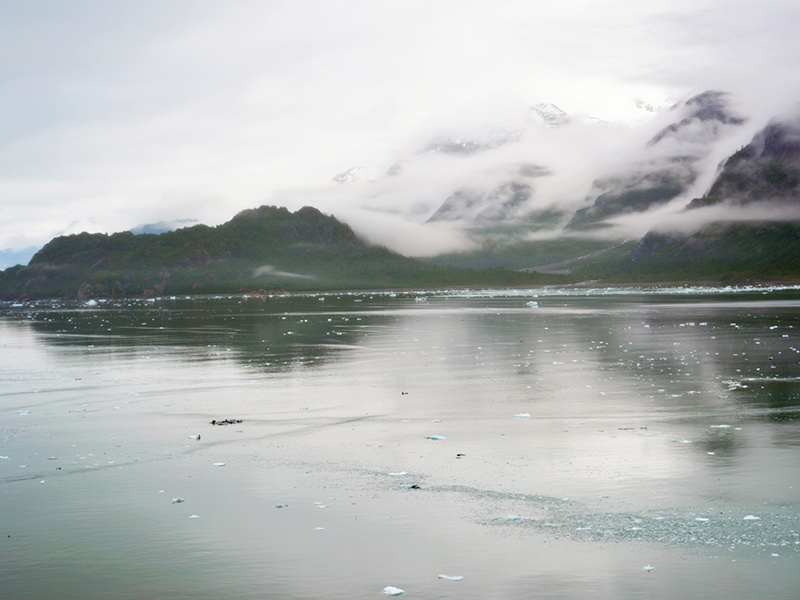 Whether it’s experiencing land excursions or watching crashing glacial activities, ice flows or natural wildlife from the top deck, Alaskan cruises have it all. You and your family set the pace! If your family’s looking for the quintessential beach vacation, consider a Caribbean cruise. Many of the cruise lines that frequent the region have their own private island stop-offs too! The huge advantage of these islands is they’re completely isolated and uninhabited; they’re mainly just set up with concessions, chair rentals booths, etc. This means you and your family (along with 1,000+ of your fellow cruisers) can experience a more peaceful, restful beach day, without pesky vendors pushing their wares. These islands are quite safe too, since they’re privately owned and operated by the cruise lines. 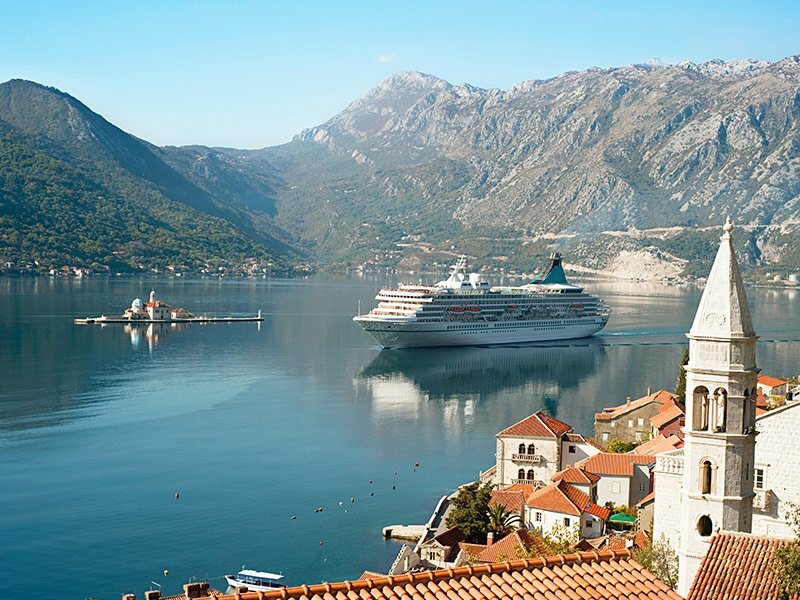 If you’re thinking of taking a European cruise with your multigenerational family, consider a cruise across the Mediterranean, British Isles or Northern Seas of Scandinavia, with one of the major cruise lines. While river cruises throughout Eastern and Western Europe are wonderfully unique and often quaint, many have an age restriction of 12 years old; the ships are also way smaller, with less to offer in terms of on-board activities. It would be difficult to keep a teenager entertained on one of these cruises. Looking for something more out of the ordinary? Then be sure to read about Three Unforgettable World Cruises: Indonesia, France and the Arctic. One of the biggest highlights of any cruise is the lido deck! A good lido deck will offer multiple outdoor pool options. Depending on the ship, expect to find a range of options from the family-oriented pool where everyone’s welcome to splash and play, to the adult-only pool areas (some even offer swim-up bars). Many also have separate hot tubs or whirlpools that will be kid-friendly and/or adult-only. If you’re looking to keep every family member entertained, cruising is the way to go. Major cruise lines including Disney, Carnival and Norwegian Cruise Lines compete for the most unique and exhilarating on-board activities, particularly for kids and teens. From waterslides, to ropes courses, to basketball and tennis courts, to life-sized chess game boards and more, you and your family are in for hours of fun! On bigger ships, you can expect a kids’ and/or teens’ club right on-board. These clubs provide a great opportunity for kids and teens to meet new friends, and will also give parents and grandparents some down time too! Each morning, expect your daily itinerary to be slipped under your door, broadcast on TVs and/or posted throughout the ship. This is the best way to plan your day, especially when you have a ‘sea day’ and don’t get to leave the ship for port excursions. By day, you and every member of your family can take classes ranging from art, to photography, to computer skills, to cooking, to yoga and more. And best of all, most of these classes are included in your cruise package cost! By night, expect entertainment shows including musicals, dance-offs, magic shows, comedians and even game shows like “The Newlywed Game”, featuring fellow cruisers. 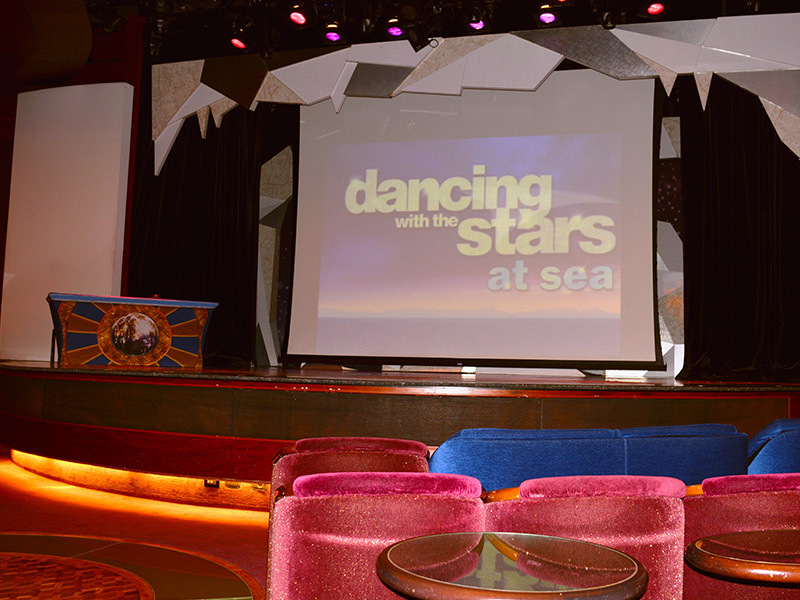 On my latest cruise to Alaska, I must confess my favourite evening show was “Dancing with the Stars…at sea”, a daily competition where fellow cruisers partnered with the on-board entertainers; it even included a final show-down! Hoping to eat non-stop to get the best bang for your buck? The cafeteria-style option(s) on-board will allow you to eat almost 24/7—breakfast, lunch, dinner and every snacking moment in between. No wonder most people go home with an extra pound of two… but who’s counting?! Planning to have a more formal evening to celebrate your first night, a birthday or an anniversary? There are likely multiple dining room and fine dining restaurant options. You’ll have to pay an up-grade fee to eat at the latter and they often offer cuisine themes, like a steak house or Italian; they’ll have less menu variety than the dining room or cafeterias but are considered the premium dining options on-board. But remember; be sure to call down to make reservations early into your stay, especially if you’re booking a bigger table for your entire family. Depending on your destination, you should have tons of options. The great thing about cruising is every day is different, since you’re in a different port. You and your family can make the most of your days by planning port excursions in advance on the ship itself, or wait until you arrive in port to see if you can haggle and bargain tour operators down. You may be able to make a deal if there are more of you doing the tour. As far as I know, that’s not something you can do with on-board or online purchases. Another great thing about cruising is that many on-board activities and port excursions are accessible for many different ages and abilities. However, I would recommend planning accessible excursions in advance instead of last minute in port, to prevent disappointment. 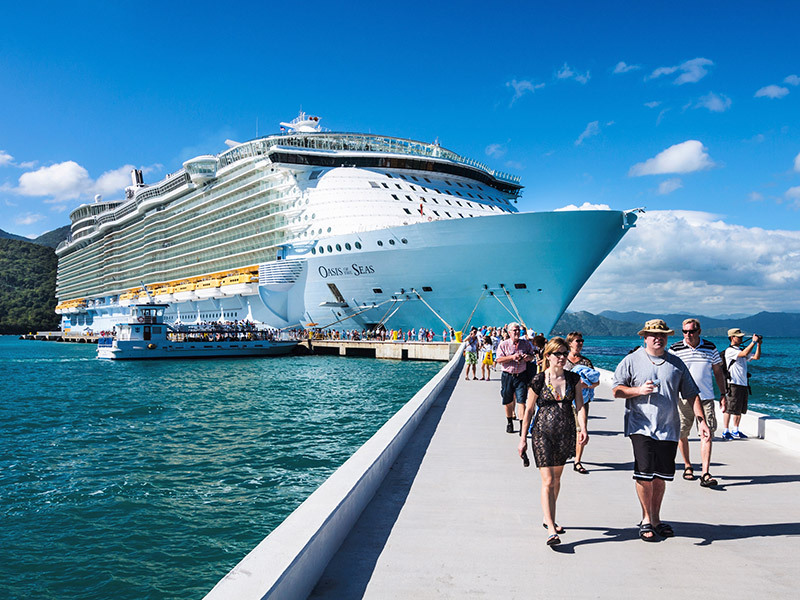 Be sure to contact your travel agent (if you’re booking through one) or the cruise ships’ hotline to find out which excursions are accessible. Also, do your own online research since you may want to go beyond the cruise ships’ options. If you come across independent tour operators, be sure to contact them to ensure transportation to/from the port and the attractions themselves, are wheelchair accessible. If you and your family are into challenging yourselves with scuba diving, parasailing, climbing excursions and other more extreme sports or activities, be sure to check with your insurance provider if you have coverage before booking these excursions. There are some once-in-lifetime excursions out there, but they also come with higher risks. Hopefully, there’s no need to use your travel insurance, but as we all know, life’s bumps and scrapes happen. Luckily, if any one of your family members gets sick or injured on the ship, there’s an on-board medical team available to help! If something happens while you’re on a port excursion, your travel insurance should cover for emergency hospital or clinic care. To make sure the whole family is covered, you’ll want to do a bit of research to see what your insurance provider can offer. You’ll also want to check what their definition of “family” is, since there are often age restrictions. For instance, with TuGo Travel Insurance a family travel insurance policy can only be purchased by travellers 59 and under. But the upside is that everyone travelling together under 59 can be covered, making it an economical option. Another consideration may be an All Inclusive Holiday Package, but again, it’s only available to those 59 and under. For travellers 60+, there are still many options for travel insurance coverage too. It’s best to contact your local insurance professional to find the best coverage for individual needs, including pre-existing conditions. I hope these tips have been helpful for everyone from grandparents to the little tikes in your family!